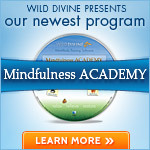 I am so excited to present Wild Divine software, a meditation package that could help change your life! I have finally had the chance to try it myself and am suitably impressed with these creative, mind-expanding programs. Wild Divine has brought technology to new levels, combining biofeedback with gorgeous visuals and instruction by the masters to help us learn meditation and relaxation techniques and new levels of control over our mind and breathing. 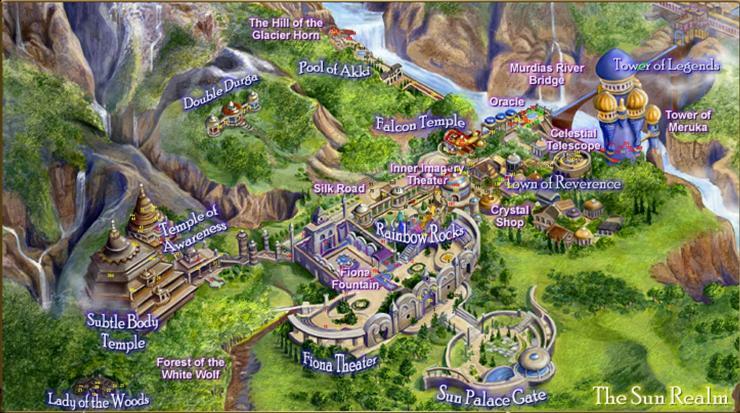 The Journey to Wild Divine just keeps getting better, with increasingly sophisticated graphics and practice events. I have wanted to try these games ever since seeing them advertised in a magazine a number of years ago. Exploring a visually stunning online landscape combined with meditative techniques is quite an adventure as you navigate beautiful island settings and magical challenges such as a flying carpet, floating bridges and a hot air balloon (Return to the Sun Realm). Games take place in peaceful realms, and you cannot get hurt (it takes some time to get used to this notion), so you can explore at your own pace without fear - though some of the challenges take some real perseverance! As a visually-oriented person, and one who has struggled with sticking to a meditative practice, so far my experience with Wild Divine has been encouraging. It is becoming easier to identify and correct my energy levels by associating my feelings with the challenges in the game. 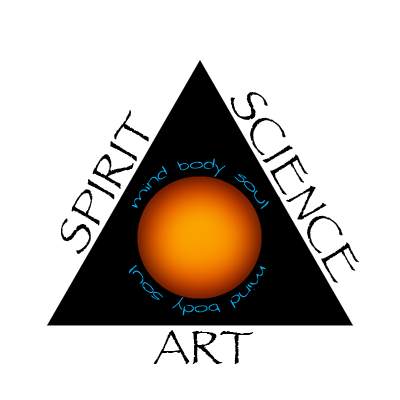 For example, recognizing that my current state would probably cause a fire bowl to burst into flames (one of the energy-raising challenges) gives me a new way to measure how I am feeling in the moment, and the specific breathing exercises taught in the other programs give me new strategies for coming back into balance. One of their latest releases, Relaxing Rhythms, is the first feedback training program that brings together the most prominent leaders in the field of health and wellness - doctors Deepak Chopra, Dean Ornish and Andrew Weil. Wearing three finger sensors that track your body's energy levels, you move through enchanting and mystical landscapes using the power of your thoughts, feelings, breath and awareness. Wise mentors guide you throughout the realm, empowering you with yoga, breathing and meditation skills. Software titles and packages change over time, but each new title sounds as enticing as the others (I would love to visit Villa Serena!) and all that I have tried offer real quality in terms of both experience and instruction. It is difficult to adequately describe the experience without trying it, so please follow the links to the programs and watch the online demos for a better understanding of the products offered. The games are recommended for ages 8 and up. 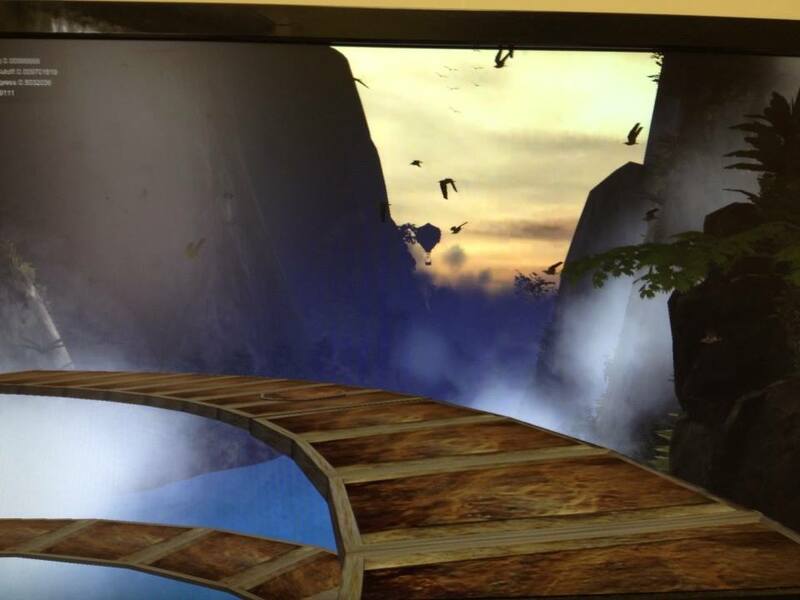 Left, a screenshot from Return to the Sun Realm. The full package is a bit pricey but highly recommended for the full experience. I was fortunate to be able to purchase it for our local school using grant money as part of a wellness initiative, and then later bought the smaller IOM PE with Relaxing Rhythms for myself. Unfortunately this less-costly version does not include the same practice events as the original; however the guided meditations are the same, which I suppose is the more important factor. I have since added Zen Journey with Master Nissim Amon, who was one of my favourite teachers in the previous software; let him guide you to deeper relaxation and greater discipline, with corrective statements when your breathing is off, and encouragement when you are doing well - I find him quite delightful to listen to. Consider sharing with a friend or group to make the programs more cost effective. For anyone like me who prefers to practice at home, I do believe you will find it well worth it.